There are a lot of ways to enjoy Mt. Etna, but one of the most surprising is skiing on it. While Europe’s largest active volcano is commonly known for its role in Greek mythology and unpredictable eruptions, few realize it has ski resorts, too. 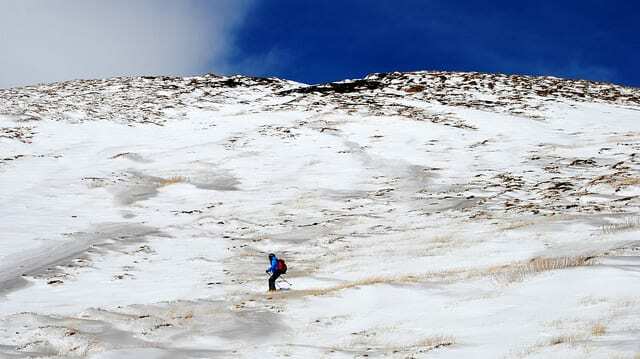 Sure, Mount Etna’s slopes may not be as expansive and exciting as those in northern Italy. But skiing on a volcano, with a view of the sea, makes this the most unique experience of skiing in Italy. Here’s what you need to know before planning your trip! What are the ski slopes of Mount Etna like? Mt. 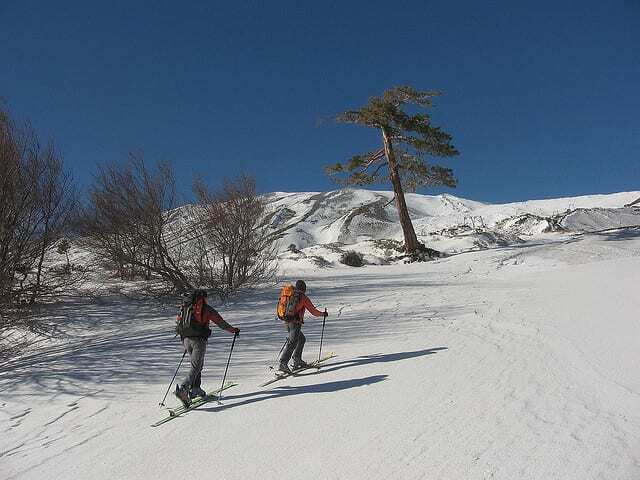 Etna’s two main ski resorts, Piano Provenzana and Nicolosi, offer both alpine and downhill slopes. Nicolosi, located in the southern part of the mountain, covers more ground and has more vertical pistes. The trails tend to be very smooth, thanks to the volcano’s settled lava! Better yet, crowds tend to be small, and at about 25 euro per day, ski passes cost much less than those in the north. How can I get to the Mount Etna ski resorts? The closest airport to Mount Etna is in Catania, approximately an hour’s drive from mountain’s southern slope. Public trains and buses have a limited year-round schedule and many hotels organize shuttles during the peak season. Mount Etna makes an easy day trip from Catania, Taormina or Messina. Otherwise, plenty of hotels are located on and around the mountain… just for those who want their Sicilian holiday especially snow-filled! When’s the best time to ski Mount Etna? Mt. Etna’s high altitude (more than 10,000 feet!) means snow on the mountain’s peak from the end of November to April. For optimal snow conditions, try to go in December, January or February. And remember, thanks to its Mediterranean location, the climate is much warmer than the northern Italian mountains—toward the season’s end, you might even see skiers in short-sleeved shirts! Ah, yes… we’re glad you asked! After all, Mt. 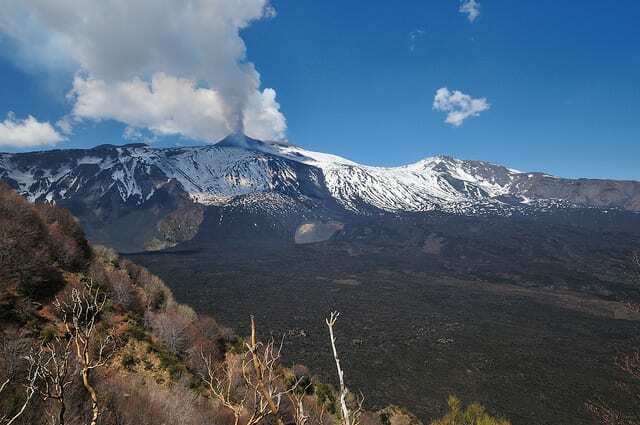 Etna keeps residents and tourists alike on their feet with its uncertain activity, including eruptions that sometimes result in ash and smoke rings—all of which can affect the season’s ski schedule (you can check the current conditions on EtnaSci). But the eruptions aren’t all bad. Thanks to the volcanic minerals in the soil, the area produces delicious mushrooms, grapes and pistachios, among other kinds of local produce! If you don’t have the chance to visit Mount Etna in the winter, you can still enjoy the fascinating mountain in the spring and summer, too. Hike, take a ski lift to the top, and enjoy the spectacular views of the nearby sea! Walks of Italy runs a partner tour to Mt. Etna. If you’ve ever been to the mountain or want to go, let us know in the comments. I had no idea this was even an option. This sounds right up my alley, would love to do this at least once! Always want to go to Sicily area. With snow resort, that even better so I can enjoy snow towards the end and explore its areas after. Talking about killing 2 birds with one stone. How perfect idea. I live in Zafferana Etnea, just 10 miles far from the ski resort of Rifugio Sapienza. I am very happy to hear about my beautiful island and its many attractions. 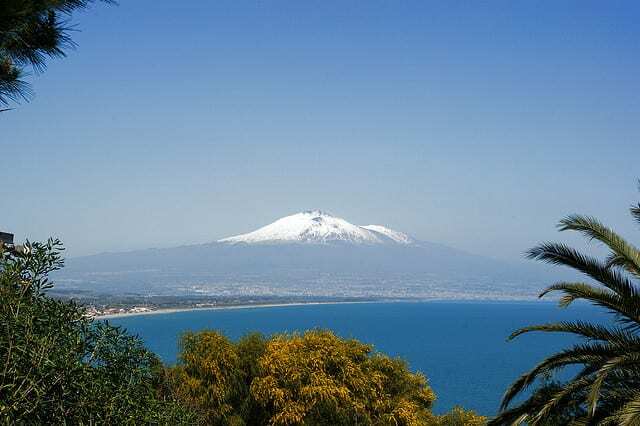 VisitSicily has some useful information here about how to get to Etna and even some possible places to stay.